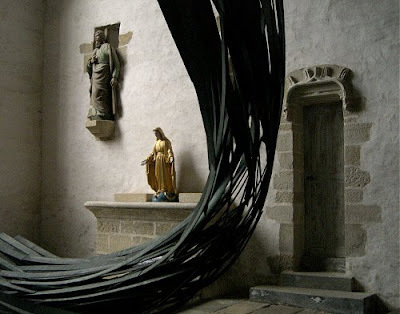 Installation by Rainer Gross in Chapelle Saint-Nicholas, Pluméliau, Brittany is above and mural by Olivier Nottellet in Chapelle Saint-Jean, Le Sourn is below. 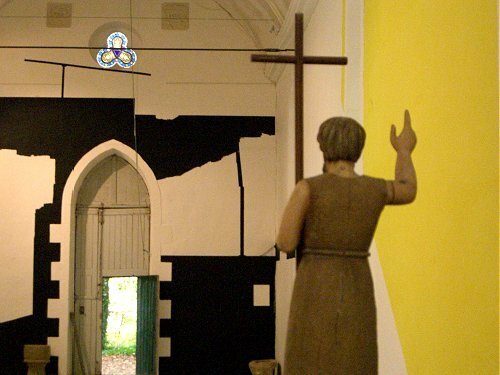 Both part of the annual L’art dans les chapelles (Art in the chapels). Is the link between music and the visual arts neglected?